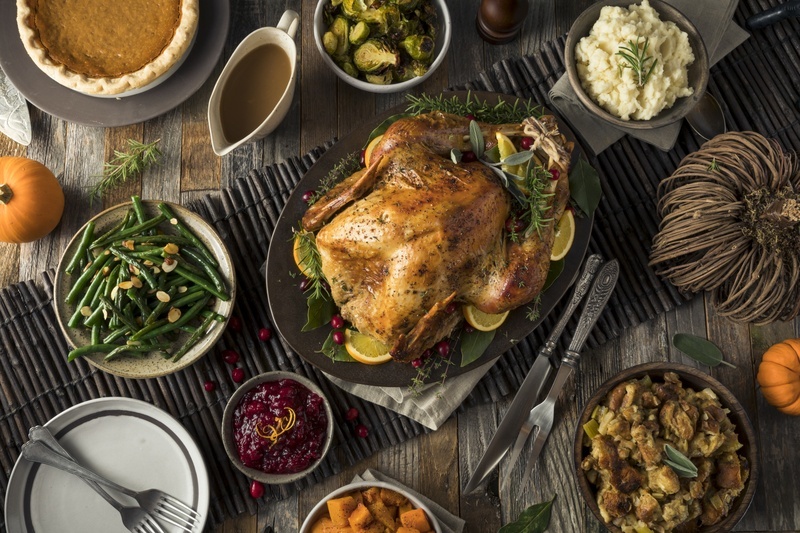 Ever since 1986, the AFBF has calculated the cost of Thanksgiving dinner every year. For consistency, the AFBF’s menu has remained the same over the years—a 16-pound turkey, 14 ounces of stuffing, 3 pounds of sweet potatoes, a dozen brown rolls served with butter, 16 ounces of peas, 12 ounces of cranberries, a vegetable tray consisting of half a pound of celery and half a pound of carrots, and two pumpkin pies made from 30 ounces of pie mix, two pie shells, half a pint of whipping cream, and a gallon of milk. A notable change since the AFBF began tracking the cost of Thanksgiving dinner is the percentage of every dollar spent on Thanksgiving that ends up in farmers’ pockets. In 1980, farmers received 31 cents out of every dollar spent on food. Today, farmers receive less than 15 cents per dollar—hitting a record low in May of this year—with the rest going to wages, processing, marketing, transportation, and distribution. This year, a Thanksgiving for ten will net farmers just $7.34—a small amount for the enormous effort that is required to deliver the staples of a traditional Thanksgiving Day dinner. While many of the nation’s farms are facing difficult economic challenges—tariffs, low commodity prices, and increased expenses, just to name a few—the cost of food is lower than ever before. In fact, the inflation-adjusted cost of a turkey dinner is as affordable as its been in a decade, and is more than 20% cheaper today than it was in 1986. In spite of the challenges, one thing that has remained the same over the past 32 years: the ability of U.S. farmers to deliver a safe, affordable, and abundant food supply. Looking for something to be thankful for while sitting down to the table this year? Just think how fortunate we are that for roughly $50, a family of ten can share a Thanksgiving dinner. That’s approximately $5 per person! This year, we’re thankful for the farmers who continue to bring bounty to our tables. As we’re enjoying seconds of pumpkin pie this Thursday, we’ll look around the table and be amazed how well fed our friends and family are, all for about the cost of an Amazon Echo Dot—one of this holiday season’s top tech gifts. At Alliance Tire Group, were committed to making tires that solve the real-world challenges facing today’s farmers—which includes overcoming the shrinking amount of money farmers receive from every dollar spent on food. We design our Alliance farm tires to help farmers increase their productivity and efficiency, to reduce soil compaction and increase yield, and to lower fuel costs. Most importantly, we deliver this in a tire that an everyday farmer can afford. It's our small way of thanking the farmers who keep us fed, clothed, and fueled.